Soft and downy 4-cornered sleeping comfort; the Kamor 400 DWN provides cozy warmth for camping, hut hopping or trekking tours. 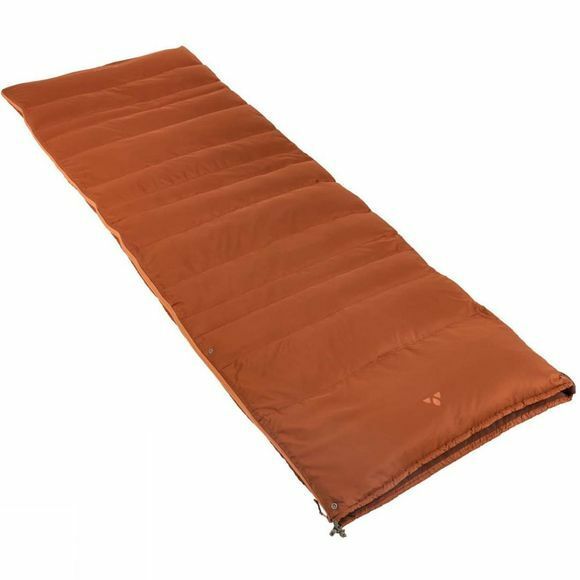 This bag is all about flexibility; it can be adapted to different body heights by folding back the front side, and can be used as either a blanket or a sleeping bag. Laid flat, the Kamor 400 DWN has the dimensions of comfort-bedding and is compatible with standard duvet covers. It’s also perfect for travel or a road trip. Combine your two favorite bags: Zip it together with another Kamor or a Navajo for couples or families and you’ll have room to cuddle with your loved ones and room to move. 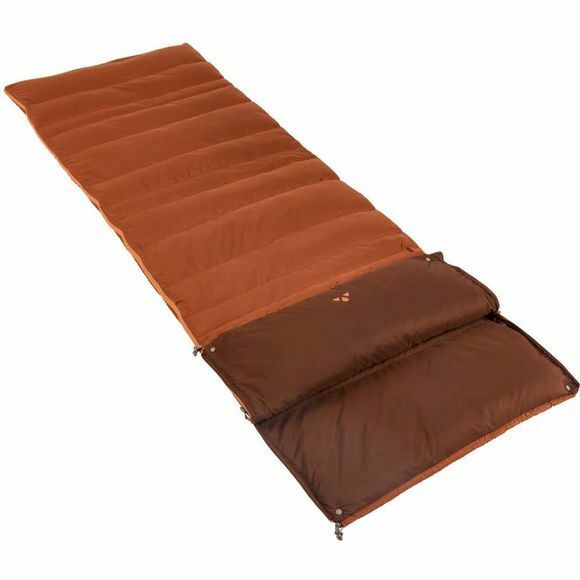 In order to maximize the cuddle factor, soft polyester taffeta is used inside the bag making camping even more comfortable! The VAUDE Green Shape label stands for environmentally-friendly, functional products made from sustainable materials.